Pioneers in the industry, we offer standard trims from India. We have emerged as the foremost manufacturer, exporter, importer, distributor, wholesaler, trader and supplier of superior quality Standard Trims. 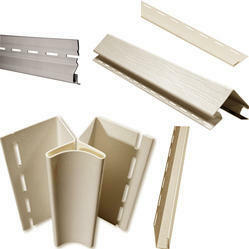 The given product comes in various forms like ridge, verge, drip, eaves, and guttering. This product is manufactured under the direction of experts in compliance with the set industry norms. Our offered product is quality tested on diverse parameters by quality controllers in order to assure its flawlessness.